Sterling Laundry is a coin-operated laundromat located in the heart of Santa Barbara, CA. 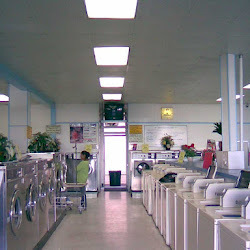 Open 24 hours a day, the laundromat offers both self-service washing machines as well as a fluff-and-fold service. Before coming to us, owner Robert Heckes had trouble getting Sterling Laundry found online amongst the 20-30 other laundromats in the 89,000 person town. He originally considered more traditional marketing tactics, such as postcards or door hangers, but came to the conclusion that business listings management was a much more cost-effective solution to his problem. With the possibility to reach a larger audience without the headache of delivering postcards door-to-door, Robert told us signing up “at this price just seems so much smarter and more effective”. Robert decided to sign Sterling Laundry up for business listings management. We were confident that BLM would boost him to the top of the major search engines and outrank the competing laundromats in the area. The results for Sterling Laundry were phenomenal. Though their website had already ranked on the first page of Google for certain keywords, they still had room for improvement. 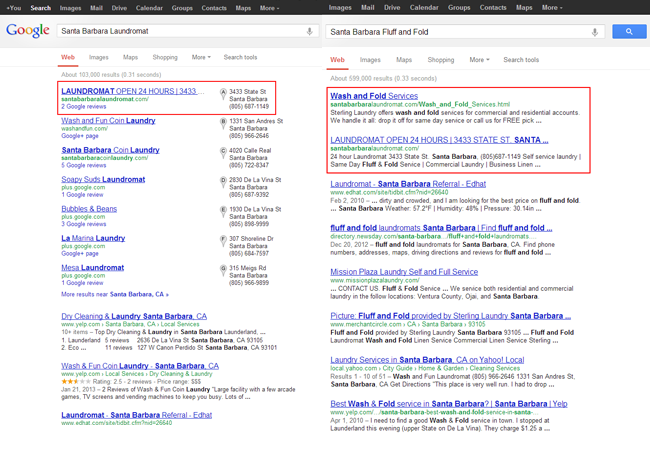 For example, Sterling ranked 7th for the search “Santa Barbara Fluff and Fold”. Ranking 7th is an accomplishment to an extent, but statistically, the 7th position only receives 3.4% of overall clicks from internet consumers. After local search optimization, Sterling ranked both 1st and 2nd for this search term, which skyrocketed their click-through rate to a towering 54%. 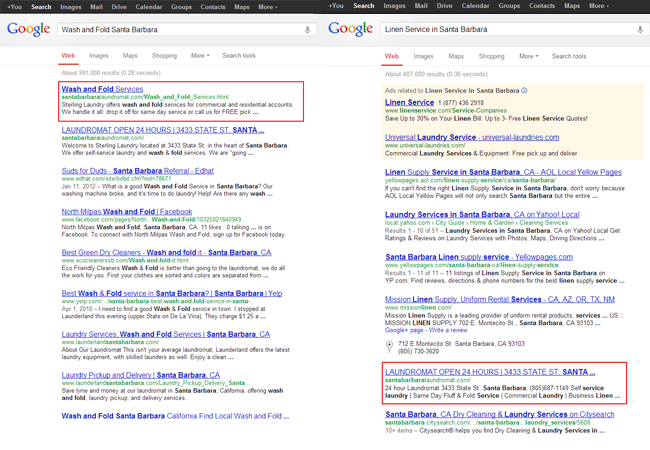 Robert’s laundromat now also ranks 1st for “Santa Barbara Laundromat” and “Santa Barbara Wash and Fold”, making Sterling Laundry the most findable laundromat on the internet in the Santa Barbara area. Don’t wait! Sign up for Business Listings Management today.